Do something that no one else is doing in your market! Leah Mandal shares the success she has had since completing the Live to Grind Accelerator Program! She saw an opportunity and ran with it! 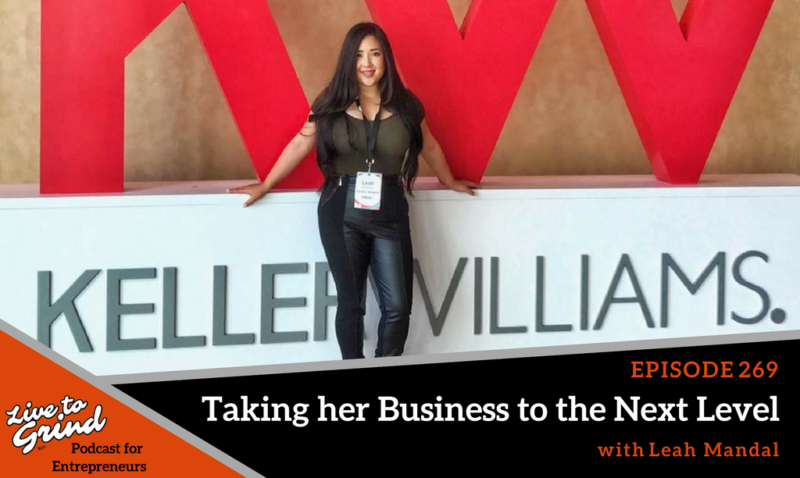 Instead of creating an everyday commercial for her potential clients, she started her own reality show and takes them on a backstage journey of what it’s like to be a real estate agent! She has gained many more clients every since then and plans to grow even more! – Leah shares her success with building a reality show where she records her life as a real estate agent in Tucson, AZ. – The importance of adding value and entertaining your audience. – How to get your clients to come back to you. – How networking can even mean going to parties and socializing with potential clients. – What Leah is doing daily to rock her business using the BRAND formula. Leah Mandal, a Tucson native, is forward thinking and skilled real estate professional. She is highly experienced in the art of negotiation and knowledgeable on current lending guidelines. Always seeking solutions, she is known to seamlessly solve problems in dynamic environments. Staying on top of the market is one of Leah’s top priorities to give her clients the knowledge to make sound decisions. Be the Next Success Story at Accelerant Media Group!